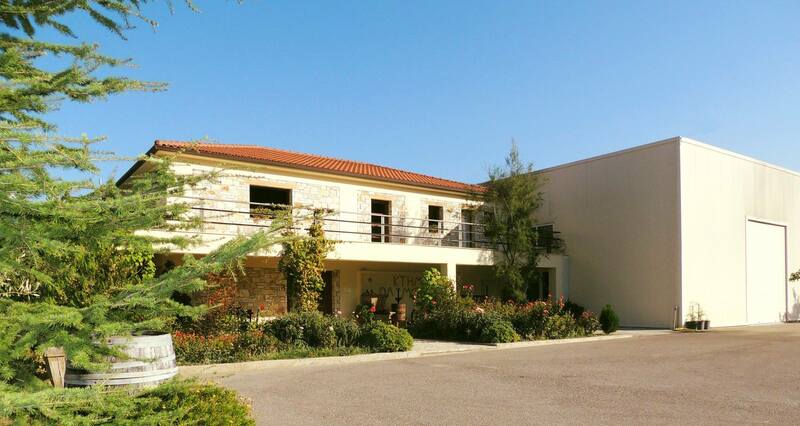 The winery facilities consist of two buildings surrounded by the vineyard of the estate. In the first building one finds the production area, especially designed to welcome the grapes straight from the vintage, with all necessary modern equipment to produce quality wines. In the second building, a stone – built mansion, one can find the underground maturation cellar, where the red wines age, as well as big wine tasting room where the visitor can unveil the secrets of the Olympia Land wines. Finally, products of the estate and other local delicacies are exhibited in the welcoming reception area of the winery for the visitor to enjoy.